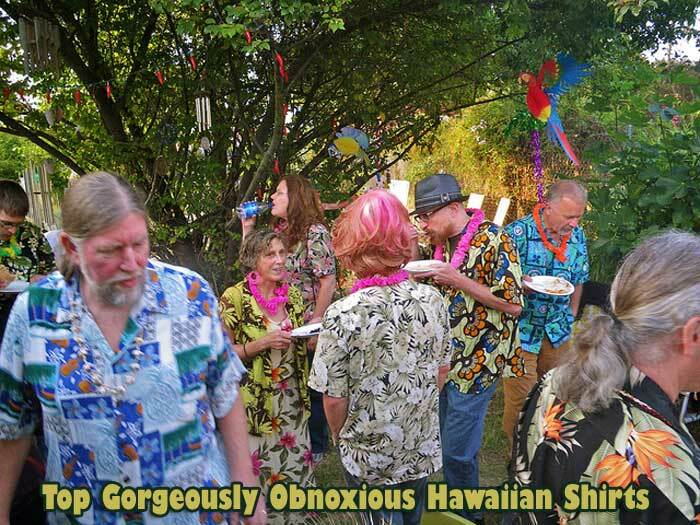 10 Gorgeously Obnoxious Hawaiian Shirts for Your Next Vacation! Gorgeously Obnoxious Hawaiian Shirts: There is nothing like experiencing a relaxing day at the beach. The best thing about going to the beach is being comfortable and looking great while you have your fun! What better way to do so than with the original vacation top, the button-down Hawaiian shirt but with bright neon-colors and trippy patterns! Whether you are going on vacation or going to a beach themed party or dressing up for the tacky tourist day or any Tuesday with after-work plans other than hitting the gym, we have compiled ten of the most unique, beautiful, and comfortable but at the same time a bit tacky Hawaiian shirts for you. The beautiful beach scene on this tacky Hawaiian shirt is sure to get many compliments from all you encounter on your next vacation or costume party. The colors of this shirt are vibrant and will make you stand out at your next event. This blue Aloha shirt is smooth and soft with accurate sizing according to measurements. With a vast range of sizes for all shapes, this shirt is sure to make you feel comfortable and make every day a vacation. The next Hawaiian shirt has beautiful flowers combined with the pastel and dark colors make this top work of art. This black Hawaiin shirt is more slim-fit than your average loose-fitting Hawaiian shirt. This shirt does shrink a bit when dried so you should go up a size if you are going to dry the shirt. Like the previous tropical shirt, this one also features the Hawaiian hibiscus flower this shirt. This blue vintage Hawaiian shirt includes the silhouette of palm fronds in the background. We believe that this shirt should be bought one size up for most as the sizes tend to lean more towards a European scale with a slimmer fitting shirt as well. This is another shirt that tends to shrink if dried so be aware when selecting a size as to whether or not you will be drying the shirt. The colors are vibrant, and this company has excellent customer service too! Nothing says tropical like a beautiful fresh pineapple! See the pineapple costume collections if you missed. This mens tropical shirt showcases the pineapples on a light pink background which allows them to be the center of attention. The varied positions and cuts of the pineapples allow for different angles and colors across the shirt. This shirt has a lightweight cotton material and can be bought one size up if you prefer a roomier shirt. The beautiful blend of purple and tropical blue with the silhouette of the palm trees on the beach allow for a relaxing and tranquil scene on this comfortable shirt. From the customers, it seems that the vivid colors as well as the soft material that does not wrinkle. 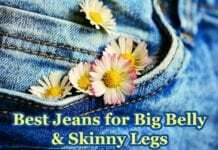 Many customers also bought them as a couple to match and found that it fit both very well no matter the difference in body sizes and/or types. This is the perfect shirt to wear for your next beach themed event. The tropical colors of orange, yellow, and blue blend together perfectly to create a beautiful scene on this obnoxious Hawaiian shirt. The silky, breathable material makes it perfect for warmer weather to keep the wearer cool and dry. These silk Hawaiian shirts run big and that unless you like your shirt to be very big on you, more than likely you will order a size down after you check your measurements. Many customers are pleased that while the material is exceptionally soft, it does not cling in an unflattering way. The way the yellow, black, and green colors work together on this shirt creates a beautiful tropical floral pattern. The attention should be given to the size guide when selecting the appropriate size based on the measurements provided. Otherwise, several users had to return due to the shirt being too big on them. The colors are vibrant, but this Hawaiian print shirt should be cold washed and dried on low to avoid shrinking. The repetitive pattern of this beach scene allows for a carefree attitude while maintaining a beautiful design and color scheme. This light-blue, pink and white Hawaiian shirt contains a pocket and is machine washable without wrinkling. This shirt is very comfortable as it is made from high-quality material. It is recommended for potential customers to use the size chart for measurements and order a size up if they do not like a tighter fitting shirt. This vibrant and irregular design allows for a unique take on the average Hawaiian shirt. This Hawaiian wear will surely catch everyone’s eye at your next beach themed event because it is fun and bright. 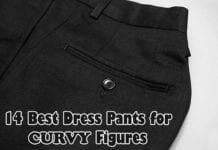 The seller and customer reviews both emphasize the importance of measuring as their shirts run much smaller than usual. This shirt is thin and light without losing the quality of the colors on the design. This shirt is perfect for those who wanted to be noticed! Showcase your surfer soul with this shirt that uses beautiful blends of blue and yellow to create a silhouette of a group of surfers searching for the perfect wave. The small Hawaiian hibiscus flower is the perfect accent to this pattern. The shirt colors are vibrant while being cool and comfortable. According to users, it is straightforward to clean and take care of this shirt without worrying about wrinkles. When you’re at the beach, whether it be on vacation or at a themed event or costumes party, you should be able to enjoy yourself and be able to let loose. By choosing any of the above best Hawaiian shirts on this list, you will be looking confident and feeling comfortable on your next vacation!